/ Blog / Roofing / Commercial Roof Blisters: Remove or Re-Cover? Blistering is a problem that is common among commercial roofing systems, especially those with a membrane-type composition. It is a phenomenon in which bubbles form underneath the roof’s membrane, which can sometimes result in cracks along the length of the blister. Like any problem, learning about its root cause is the first step toward preventing them or dealing properly with them when they arise. 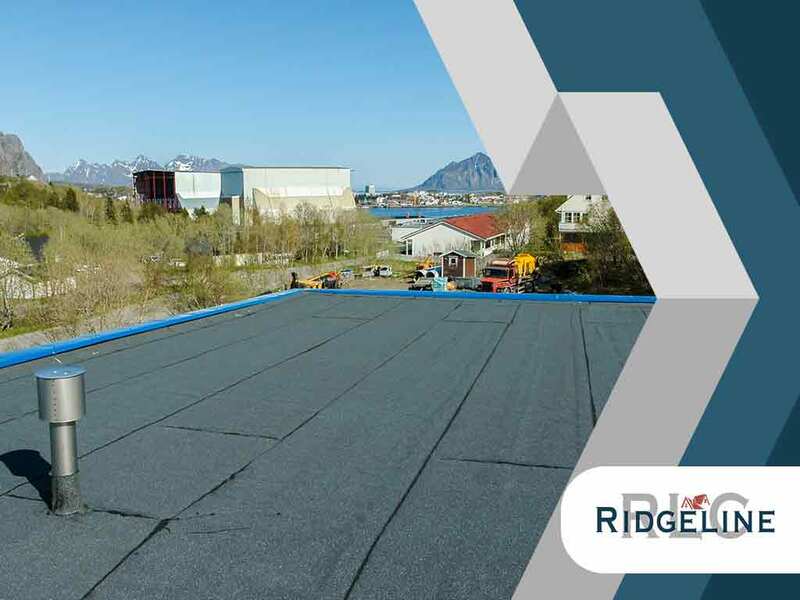 As one of the top roofing companies near you, Ridgeline Construction Roofing & Exteriors discusses how to approach blisters on your commercial roof. Blisters form when there are pockets of air or moisture trapped between layers of a roof’s membrane or between the sheet and the roof deck. Direct heat from the sun causes these pockets to expand, further stretching the membranes, which will eventually crack when the pressure becomes too great. Even if the roof membrane doesn’t crack right away, the stretch remains permanent, allowing for even more air or moisture to infiltrate the membrane layers. As such, each time the sun heats your roof, there is the potential for the blisters to grow a little larger, and the risk of cracking increases. The surfacing is starting to come off of the blistered area. There are different ways to fix a blister on your commercial roof, but whether to repair or re-cover the affected areas is largely a judgment call of the roofing professionals. The size, nature and the frequency of blisters will also have a bearing on their decision as it can impact the service life of the roof system. Regardless, you can count on Ridgeline Construction Roofing & Exteriors to do what is best for your roof given the circumstances. In addition to roofing, we are also one of the leading siding installation companies, providing top-of-the-line solutions to both residential and commercial properties. Get in touch with us today for a FREE estimate by filling out our contact form.